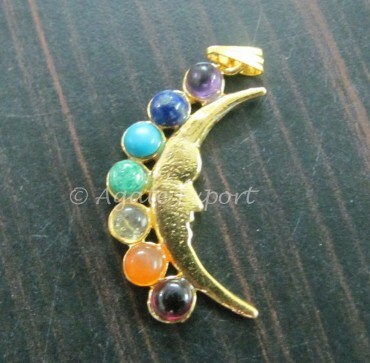 The crescent moon in this pendant has an outline of a face, making it look cute and stunning all at once. 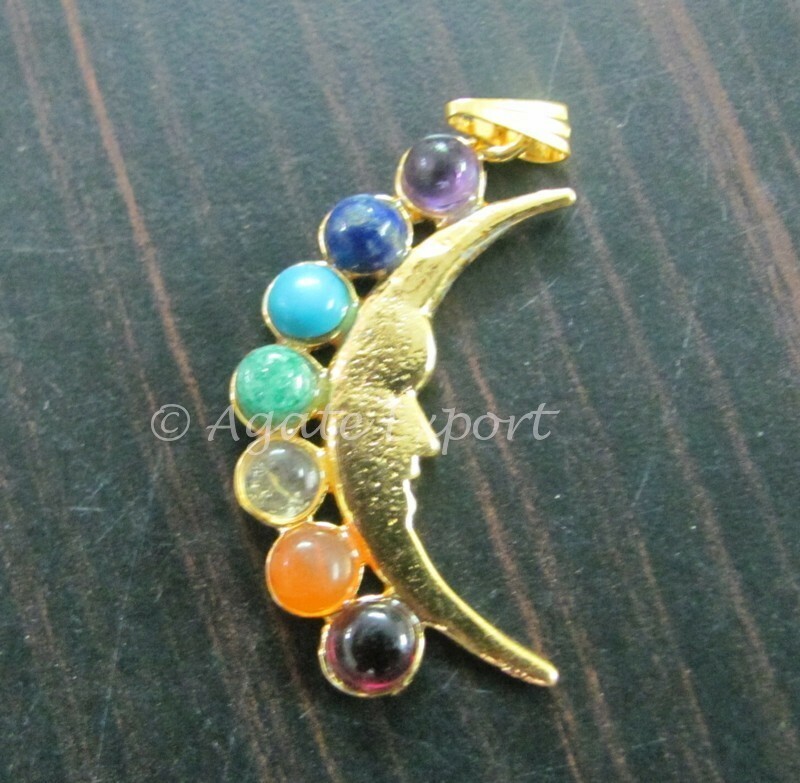 You can give this power-packed chakra crescent moon pendant to your little girls or anyone who loves stars and moon. You can avail this lovely piece at Agate Export.